The College offers a broad selection of resources designed to help support candidates. These resources are issued for guidance only and are by no means exhaustive. They range from the more formal guidance notes and past papers to a mix of events, library holdings and online content to be found in iRCO. Candidates should note that are not required to use specific textbooks nor are they obliged to base their preparatory work on particular methods or models. The complete Diploma Examination Regulations document for the current academic years(s) can be found on the Qualifications page. These are available from the download section at the foot of this page. Please note you need to be signed in as a Member to access these resources. Past papers and aural recordings are available to purchase in the Members area here. Please note you will need to be signed in as a Member to access these resources. Much support material is available for borrowing (note that some restrictions may apply) and reference in the College Library. For access to the Library, click here. The College also holds a number of educational events and courses each year which prepare prospective candidates for accreditation. For more information about the work of RCO Academy, the College’s education and outreach team, click here. Our virtual campus iRCO contains a growing body of learning materials and support materials for examination candidates. iRCO is open to College members and guest users alike, although note that many examination resources are accessible to members only. To find the resources you can click through the Qualify section of iRCO, or use the search function to identify particular areas of interest. You can also manually update your profile to indicate your interest in material relating to any particular examination e.g. tick ‘ARCO’ if you are keen to have new content which might support that examination brought to your attention. You can click here to explore iRCO straight away, or watch our introductory films first. 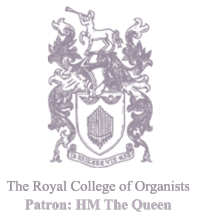 The first video, entitled Your RCO Exam, has been produced to help anyone preparing for, or considering taking, one of the Royal College of Organists’ diploma examinations. The film aims to prepare candidates by looking at the examination process in detail. It is equally relevant for the Colleague (CRCO), Associateship (ARCO) and Fellowship (FRCO) diplomas. Presented by Anna Lapwood (Director of Music at Pembroke College, Cambridge), the film includes an illustrative walk-through of a mock ARCO examination taken by Anna herself. The second film helps the candidate through the entry process for the RCO Certificate of Accredited Membership (CAM), and looks at what to consider when choosing repertoire to play.